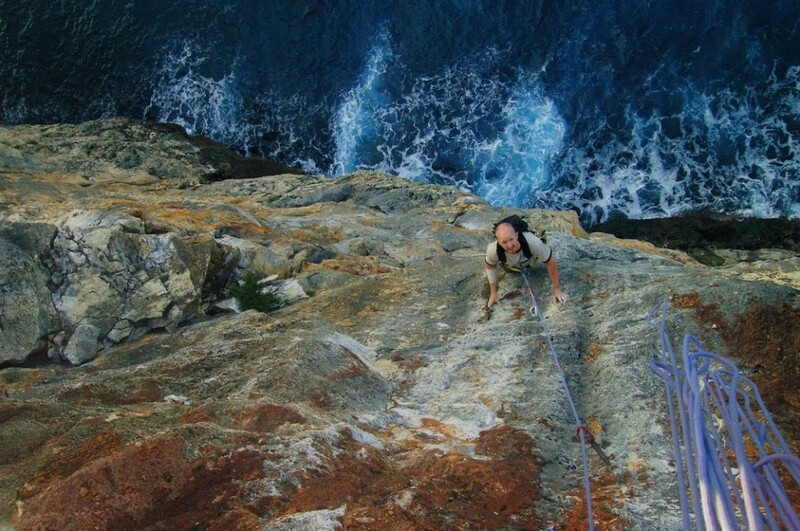 Cayman Brac is an amazing winter rock climbing location. High quality sport climbing routes on gently overhanging limestone on a small, unspoiled tropical island in the Caribbean Sea. There are six sectors of “normal” sport climbing where you start at the bottom of the climb, but at two sectors the routes are directly over the sea, require rappel access and provided true adventure climbing. Here’s a great video showing what it’s like to climb at The Point. The route shown is What’s the Point? 5.9+ directly on the NE point of the island. Full-screen and audio recommended! Another video showing an exciting day on Holy Huecos. 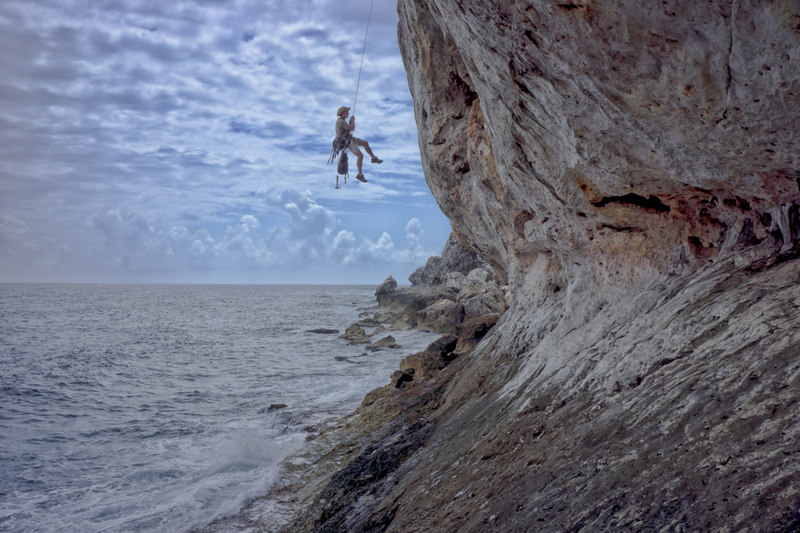 Here is the only up-to-date climbing guide for Cayman Brac. New routes have been going in for the last 6 years, 56 of them, for a grand total of 103 named routes from 5.6 to 13b. Jeff scopes out The Huckster, his route at Wave Wall.